The legend that silent film star John Gilbert's voice did not record well on film is one of the most notorious in Hollywood history. It has always overshadowed what was in fact an admirable career in both silents and talkies. However, in the decades since his decline, the Gilbert's reputation has improved. Audiences have been able to hear for themselves how well he actually adjusted to the talkies, in the few of his sound movies, like Queen Christina (1933) and Downstairs (1932), that have been available. Warner Archive's recent release of four of the actor's early sound films further punctures the myth of his inadequate voice. I watched three movies in the set: Redemption (1930), Gentleman’s Fate (1931) and The Phantom of Paris (1931) (the fourth is the action adventure flick Way for a Sailor (1930), which costars Wallace Beery), and found all of them enjoyable in different ways. While the actor, and even the movies themselves were occasionally hampered by old silent film conventions that didn't translate to sound, Gilbert is often very good and always worth watching. 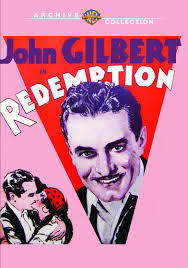 Redemption (1930) is the earliest film of the batch and actually the first sound film Gilbert made, though it was released after the notorious His Glorious Night (1929) which was famously lampooned in Singin' in the Rain (1952). It is the story of troubled young man who steals his best friend's fiancée (Conrad Nagle and Eleanor Boardman respectively) and then abandons her for a gypsy woman (Renee Adoree). At a little over an hour, the story moves speedily through the years, taking its hero from marriage to fatherhood within minutes. As with many early talkies, it still feels a lot like a silent, with its liberal use of intertitles and a uniformly melodramatic acting style employed by the cast. Based on the Leo Tolstoy play The Living Corpse, there is much here for the cynical modern viewer to mock, but seen through the right lens it is an engaging film and Gilbert is a strong presence. It is a bit silly the way the actor grandly proclaims "woulda woulda" to his baby son, and how every character seems eternally overcome by emotion. The actors proclaim as much as they discuss. This is a world where ordinary people call a man a "charming good-natured fellow, as irresponsible as the wind." Taken on its own terms though, Redemption is a consistently entertaining film. Gilbert is unashamedly romantic, and while the script can be ridiculous, sometimes seeming more appropriate for title cards, it's also a lot of fun because it plunges the viewer into complete escapism. The film doesn't attempt to be realistic, abandoning itself to magnificent, melodramatic hand wringing. 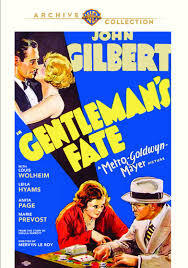 Made only a year later, Gentleman's Fate and The Phantom of Paris both seem much more modern than Gilbert's sound debut. The performances are sharper and grittier, and the screenwriting more suited to speech than in his first talkie. In Gentleman's Fate, Gilbert is a wealthy New Yorker who learns that while he always thought himself an orphan, he has a family alive and living in New Jersey. He is shocked to find he is named Giacomo rather than Jack and is the son of a mobster, dying of a gunshot wound, who has summoned him to his bedside. Rather than being repelled by the darkness of the family business, Giacomo finds he has a knack for thug life. When his involvement in a stolen necklace scandal makes his fiancée call off their wedding, he doesn't leave his kin to try to win her back, as much as he still wants her. Instead, he makes do with a mob moll, played with touching vulnerability by Anita Page. While he doesn't have the edge of actors like James Cagney, Edward Robinson and George Raft who were crafting the crime flick genre, Gilbert is a compelling hood, maintaining his elegance while accepting the coarser elements of his new environs. In a supporting role as a wiseacre receptionist, Marie Prevost gets the best lines, and she snaps into them with glee. She shows up the rest of the cast, demonstrating greatness among a cast, and in a flick that has settled for being good. From the way she boldly rubs the collar of a socialite's fur coat while she is still wearing it to her take on a handful of saucy lines, she lends lively energy and pre-code frankness to her scenes. Gentleman's Fate plays with a lot of what would eventually be familiar conventions of crime and film noir flicks, from its fatalistic plot twists to the hardboiled lingo. It's almost impossible to watch without picking out elements that could have inspired later films. 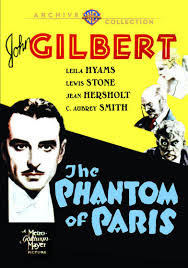 Gilbert's performance as escape artist Cheri-Bibi in The Phantom of Paris is perhaps his most polished of the three. He is romantic, charming and manages his lines with light sophistication. Were the actor to continue on in movies, this is likely the kind of romantic, dashing role in which he would have found the most success. The film moves briskly through a busy plot, crisply advancing its characters through situations rather than getting to know them, but this works in Gilbert's favor. While he is brilliant in lighter moments and seems at ease and more sure of the distinctions between sound and silent acting, the actor is less subtle in dramatic scenes. Under the cover of constant action, he continues to hone his sound technique. As a group, these are fascinating films, and solid early talkies in addition to being yet more evidence that Gilbert could hold his own with a microphone. 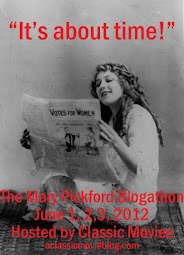 The actor's voice was fine, if not quite a match for his heart throb silent image. Though Gilbert had a soulful, charismatic presence in his talkies, he didn't have the edge of the new stars. His romantic, sensitive persona was perhaps best suited to the silent age. The actor may spoken well on film, but he wasn't as brittle or witty with a line as William Powell and he didn't have the bold appeal of Clark Gable. Being a movie star in the thirties took more than being able to face down a microphone, the change wasn't just technical, it was cultural. Still, Gilbert was a unique presence in early sound films and he would likely have matured into an interesting, offbeat performer had his luck been different. Downtown with Gilbert is very good He comes across quite admirably. I agree Brian. I think it was his best performance. He showed that he was capable of much more than he'd been given before, but unfortunately his fans didn't like to see him that way!